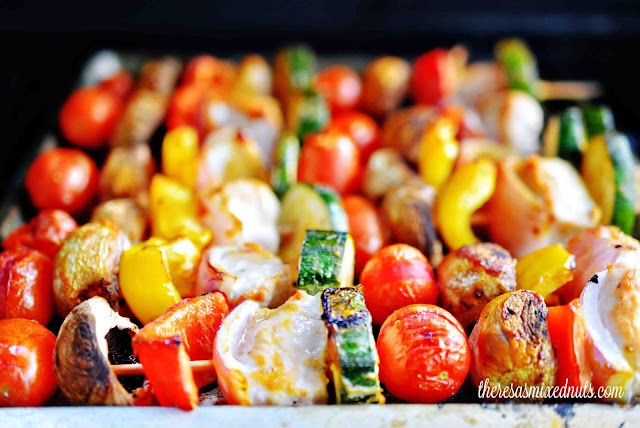 Theresa's Mixed Nuts: It Ain't a Party Until Kebabs are on the Grill! It Ain't a Party Until Kebabs are on the Grill! I am super excited to kick off the weekend with some great news! 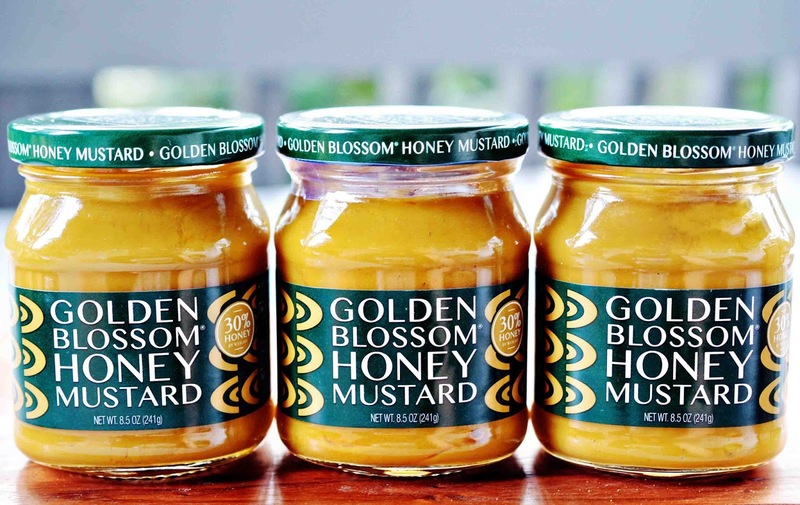 We all know how awesome Golden Blossom Honey is, providing us with the world's tastiest honey. Now, they are putting even more awesomeness out into the world with a few new must try products. 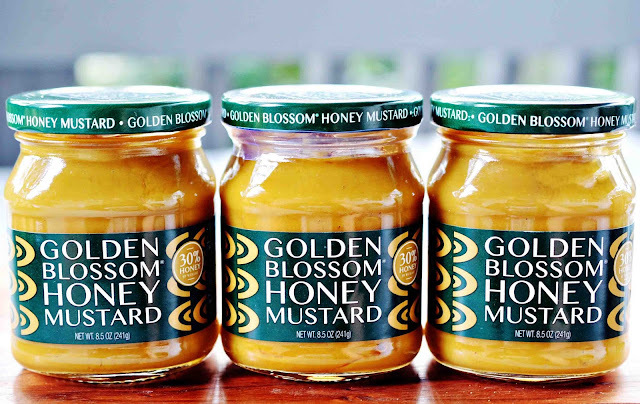 I've been working on some recipes with their newest product lineups, and today I want to introduce you to Golden Blossom Honey Mustard. With 30% Honey in every jar, more than you will find in any other brand's honey mustard, you get one mouthwatering combination of sweetness and tang all in one bite. It's perfect on sandwiches, hot dogs, used as a marinade, and even as a salad dressing. Try it! You won't regret it! Chillin' and Grillin' is my summertime motto, and I couldn't think of a better way to test out the Golden Blossom Honey Mustard than as a baste on these Honey Mustard Chicken Kebabs. Sweet and savory coming together for one delicious kebab! My only problem was that I didn't make enough for leftovers. 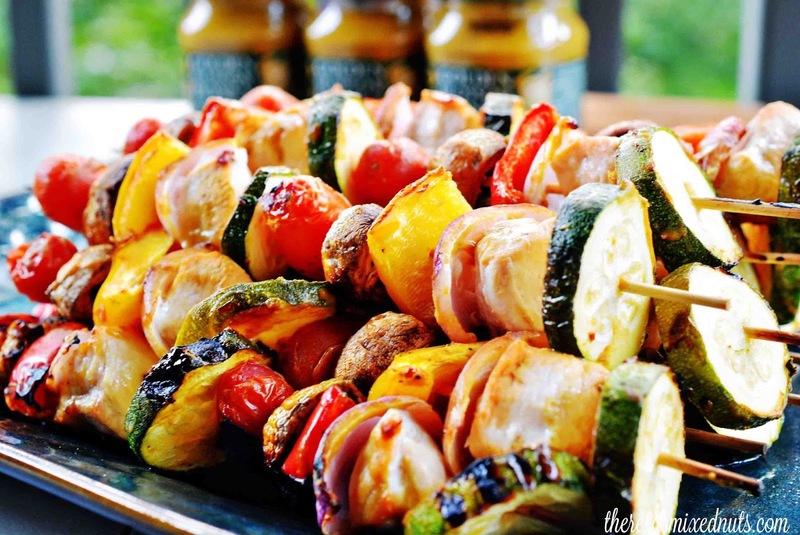 What do you like to put on the grill in the summertime? Never had me a honey mustard! I usually don't know what to do with mustard, but it is the ingredient of my ever so fave mayo! And I adore the colour of mustard! You don't have dijon mustard in Serbia? But you have regular yellow mustard, right? I usually use mustard in potato salads and deviled eggs. Have you tried that? Dezzz, is "honey mustard" code for hunk o' love? Hi Theresa. I had to stop by to tease The Dezzzmeister a bit. It looks wonderful! We had Greek style kabobs for the May birthdays! Nom Nom! That's too bad you didn't make enough for leftovers. Greek kebabs sound awesome! I am going to have to try those next. I like to marinate my chicken in Greek dressing, but never have done it for kebabs. I love it! You are so right. The party's not a party until kebabs get involved. My husband makes chicken kebabs that he marinates in Italian dressing. I have not had kebabs on the grill in so darn long! I think the Honey Mustard would make the best flavor. I love kebabs. We make them on the grill at least once a week. I love the versatility of kebobs. I like mixing up what meats and/or vegetables go on and now I have another variation to try. That honey mustard sounds like it would be delicious on kebabs. Oh, I love kebabs! I will try this tomorrow on our weekend family bonding. Chillin' and grillin' is a good motto to have. :) Your kebabs look tasty! I have never had kebabs, ever. I must make these and have them asap! I have been wanting to do this all summer! Make some good Kebabs that is! I need to make it happen, these look so good! I have a BBQ this weekend. 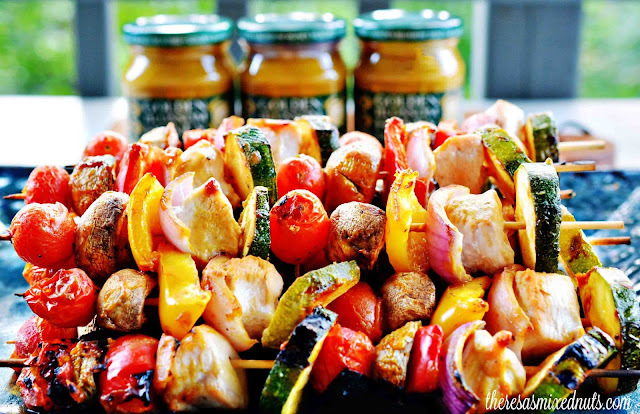 I will have to try these Honey Mustard Chicken Kebabs. I am sure they will be a big hit. I want some of these NOW!! These look so delicious! I have never heard of this product of honey mustard before but I need to be on the lookout. Kebabs are one of out favorite grilling items during the summer. Yum! I love a good kebab cookout! These look great! now I am craving kabobs! Super yum delish!!! Wow, kebabs!!! I like shrimp kebabs, really delicious! I will try this kebabs too.